It's hard to say NO to every sweet around you during the holiday season. For me, having a good alternative usually suffices. 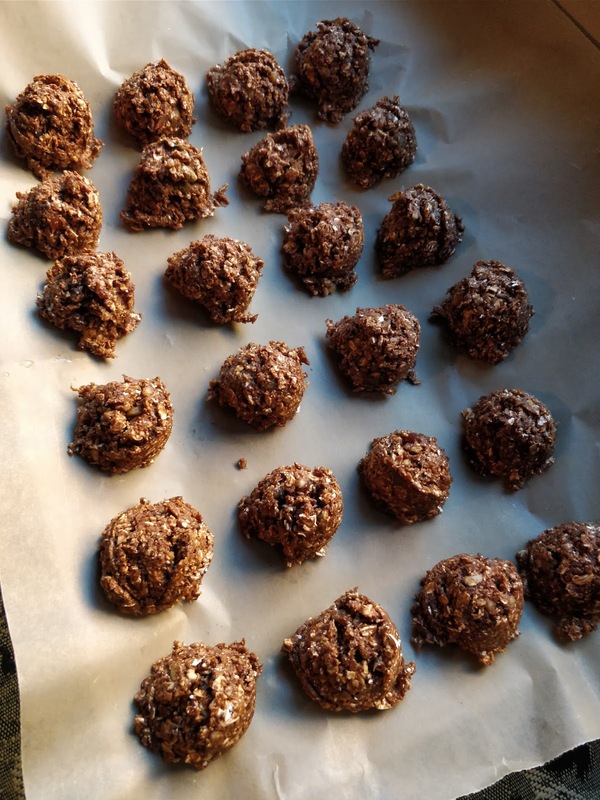 I whipped up this healthy treat for those times that we feel like we want junk but would rather not go there! Put all ingredients in a food processor EXCEPT the non-dairy milk. Pulse until combined. Add the non-dairy milk 1 T at a time until the mixture comes together like a course dough. Use a 1 T cookie scoop or your hands to shape balls. Place on parchment paper and chill in the fridge before serving. Is the T a Tablespoon?